W. H. Auden. Auden W. H., photograph. The Library of Congress. W. H. Auden was a major English poet, one of the most important English-speaking poets born in the twentieth century. His works center on moral issues with strong political, social, and psychological orientations. Noted especially for native lyrical gifts and highly developed technical expertise, he also displayed wide reading and acute intelligence in his poems. His life contains sharp contradictions. His early poems were praised for their political pertinence as well as their aesthetic modernity, and his later poems were condemned for their religious and political orthodoxy. But contradictions notwithstanding, he continues to receive recognition as one of the most important poets of the century, and as one of its most representative figures as well. Wystan Hugh Auden was born on February 21, 1907, in York, England. His father was the medical officer of the city of Birmingham and a psychologist. His mother was a devout Anglican, and the combination of religious and scientific or analytic themes are implicit throughout Auden’s work. He was educated at St. Edmund’s preparatory school, where he met Christopher Isherwood, who later gained a wide reputation as a novelist. At oxford University, fellow undergraduates were Cecil Day Lewis, Louis MacNeice, and Stephen Spender, who, with Auden, formed the collective variously labeled the Oxford Group or the ‘‘Auden Generation.’’ At Oxford Auden studied Anglo-Saxon English and also became familiar with modernist poetry, particularly that of T. S. Eliot, which was to influence his early writing. Travels and Collaborations. A small volume of Auden’s poems was privately printed by Stephen Spender in 1928, while Auden was still an undergraduate. Poems was published a year later by Faber and Faber (of which T. S. Eliot was a director). The Orators (1932), a volume consisting of odes, parodies of school speeches and sermons, and the strange, almost surreal ‘‘Journal of an Airman’’ provided a barrage of satire against England, ‘‘this country of ours where no one is well.’’ It set the mood for a generation of public school boys who were in revolt against the empire of England and its trappings. After he completed college, Auden traveled in Weimar Republic, Germany. In 1937 he went with MacNeice to Iceland and in 1938 with Isherwood to China. The literary results of these journeys were collaborations: with MacNeice, Letters from Iceland (1937), and with Isherwood, Journey to a War (1939). Auden did not participate in World War II as a soldier, though he traveled to Germany after the end of the war with the United States Strategic Bombing Survey to witness firsthand the devastating and demoralizing effects of Allied bombing on the mental well-being of German citizens. To America and Christianity. In 1939 Auden took up residence in the United States, supporting himself by teaching at various universities. His first book as an immigrant, Another Time (1940), contains some of his best- known poems, among them ‘‘September 1, 1939,’’ ‘‘Musee des Beaux Arts,’’ and ‘‘Lay Your Sleeping Head, My Love,’’ a love poem written to Chester Kallman. In 1946, Auden became a U.S. citizen. A famous line from ‘‘In Memory of W. B. Yeats’’— ‘‘Poetry makes nothing happen’’—presents Auden’s complete rejection of Romantic tenets. Auden’s increasing focus on ethical concerns in Another Time points to his reconversion to Christianity, which he had abandoned at the age of fifteen. These concerns are central to The Double Man (1941) and For the Time Being (1944). The Double Man contains ‘‘New Year Letter,’’ a long epistolary poem outlining Auden’s readings of Christian literature, while ‘‘For the Time Being’’ features two allegorical pieces that present the author’s views on art and life and Christian faith. 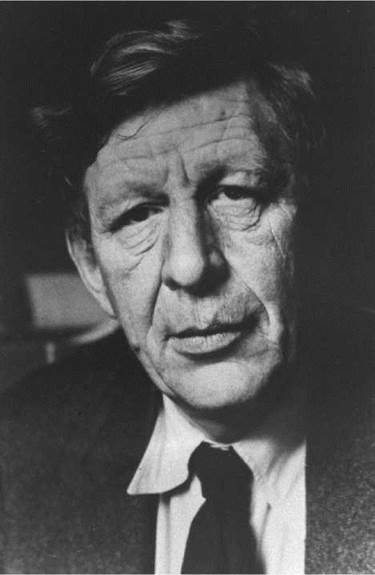 In his final years, Auden wrote the volumes City Without Walls, and Many Other Poems (1969), Epistle to a Godson, and Other Poems (1972), and the posthumously published Thank You, Fog: Last Poems (1974). All three works are noted for their range and humanitarian content. Auden’s penchant for altering and discarding poems has prompted publication of several anthologies in the decades since his death, on September 28, 1973 in Vienna, Austria. The multivolume Complete Works of W. H. Auden was published in 1989. Carson McCullers (1917-1967): Auden briefly shared a New York apartment with this Southern gothic author. Her novel The Heart Is a Lonely Hunter (1940) has a strong antifascist theme underlying its small-town Georgia setting. Allen Ginsberg (1926-1997): American poet best known for his watershed poem Howl (1956). One of the most well-known ''Beat'' poets, his enthusiastic style was in large part a reaction to the detached irony of Auden's modernist style. Dylan Thomas (1914-1953): Welsh poet who largely inherited the crown of England's favorite poet after Auden left the country in 1939. John F. Kennedy (1917-1963): First Catholic president of the United States. He ushered in an era of significant social change before being killed by an assassin's bullet in Dallas, Texas. Mark Rothko (1903-1970): Latvian-born Jewish-Ameri- can painter. He was one of the founders of the midtwentieth century New York School of painters, poets, and composers, and is renowned for his use of color to communicate spiritual transcendence. In the 1930s W. H. Auden became famous when he was described by literary journalists as the leader of the so-called ‘‘Oxford Group,’’ a circle of young English poets infu- enced by literary Modernism, in particular by the aesthetic principles espoused by T. S. Eliot. These authors adhered to various communist and antifascist doctrines and expressed in their writings social, political, and economic concerns, all of which are evident in Auden’s work of the 1930s. Rejecting the traditional poetic forms favored by their Victorian predecessors, the Modernist poets favored concrete imagery and free verse. In his work, Auden applied conceptual and scientific knowledge to traditional verse forms and metrical patterns while assimilating the industrial countryside of his youth. He disliked the Romantic poets Percy Bysshe Shelley and John Keats, whom he referred to as ‘‘Kelly and Sheets.’’ This break with the English post-Romantic tradition was important for his contemporaries. It is perhaps still more important that Auden was the first poet in English to use the imagery (and sometimes the terminology) of clinical psychoanalysis. The Symbolic and the Rational. Auden’s early poetry, influenced by his interest in the Anglo-Saxon language as well as in psychoanalysis, was sometimes riddle-like, sometimes jargonish and clinical. It also contained private references inaccessible to most readers. At the same time it had a clouded mysteriousness that would disappear in his later poetry. In the 1930s his poetry ceased to be mystifying; still dealing with difficult ideas, however, it could at times remain difficult to penetrate. His underlying preoccupation was a search for interpretive systems of analytic thinking and faith. Clues to the earlier poetry are to be found in the writings of Sigmund Freud and Karl Marx. In the later poems (after ‘‘New Year Letter,’’ in which he turns to Christianity), some clues can be traced in the works of Soren Kierkegaard, and in Reinhold Niebuhr and other theologians. Selected Poems (1970), a poetry collection by Magaret Atwood. Her ''Death of a Young Son by Drowning'' focuses on the speaker's response to the death of her son. Twenty Love Poems and a Song of Despair (1924), a collection of poetry by Pablo Neruda. ''Tonight I Can Write,'' included in this collection, is another heartfelt expression of grief over the loss of a loved one. ''O Captain! My Captain!'' (1865), a poem by Walt Whitman. This, one of Whitman's most famous poems, was composed after the assassination of President Abraham Lincoln in 1865. The Year of Magical Thinking (2005), a memoir by Joan Didion. This book chronicles the year that follows the death of Didion's husband and the prolonged illness of her daughter. While most critics view Auden’s poetry from the 1930s and early 1940s as his best, controversy surrounds evaluation of the middle and later periods of his career. ‘‘New Year Letter’’ continues to receive much critical attention, as does the relevance of Auden’s self-imposed exile in America. Some critics believe that Auden’s poetry lost much of its imaginative power and vitality after his immigration to the United States. 1. In the wake of the September 11, 2001, terrorist attacks, Auden’s poem ‘‘September 1, 1939’’ was widely circulated. Why do you think this was? What historical event was the poem referring to and what connection might it evoke with the events of 9/11? 2. Auden titles one of his books The Age of Anxiety, a phrase that came to define the post-World War II world. What events or social changes made the period 1945-1965 an age of anxiety. Research some of the major events of this twenty-year period in the library and on the Web and compare the information you find to Auden’s loss of belief in political solutions to modern problems and his spiritual conversion. 3. Auden’s poetry often concerns itself with human suffering in both the personal and cultural realms. Compare and contrast the statements on suffering in Auden’s ‘‘Funeral Blues’’ and ‘‘Musee des Beaux Arts.’’ How does the style in each reflect the theme? 4. Write a poem about a loss you have experienced. How did that loss alter your view of the world? 5. How does Auden’s late conversion to Christianity affect his writing? Choose two poems, one from before his conversion and one from after, and compare and contrast the two in terms of theme and use of language. Auden, W. H., Katherine Bucknell, and Nicholas Jenkins, eds. In Solitude, for Company: W. H. Auden After 1940, Unpublished Prose and Recent Criticism. New York: Oxford University Press, 1995. Buell, Frederick. W. H. Auden as a Social Poet. Ithaca, N.Y.: Cornell University Press, 1973. Fuller, J. A Reader’s Guide to W. H. Auden. New York: Thames & Hudson, 1970. Jacobs, Alan. What Became of Wystan: Change and Continuity in Auden’s Poetry. Fayetteville: University of Arkansas Press, 1998. Page, Norman. Auden and Isherwood: The Berlin Years. New York: St. Martin’s Press, 1998. ‘‘W. H. Auden (1907-1973).’’ Poetry Criticism, vol. 1. Robyn V. Young, ed. Detroit: Gale Research, 1991. Green, Timothy. ‘‘The Spirit of Carnival in Auden’s Later Poetry.’’ The Southern Humanities Review (Fall 1977): vol. 11.4: 372-82. Fountain, James Richard Thomas. ‘‘Auden’s Spain.’’ The Explicator (Spring 2007): vol. 65.3: 171. Hamilton, Craig A. ‘‘Mapping the mind and the body on W.H. Auden’s personifications.’’ Style (Fall 2002): vol. 36.3: 160; 408. Hitchens, Christopher. ‘‘Almost Serendipitious.’’ Poetry (July-August 2007): vol. 190.4: 339. Hynes, Samuel. ‘‘The Voice of Exile: Auden in 1940.’’ Sewanee Review (Winter 1982): vol. 90.1: 31-52. Jacobs, Alan. ‘‘Shame the Devil.’’ Books & Culture (Mar. 2002): vol. 8.2: 12.